Two of the hottest compact cars on sale today, the Mercedes-AMG A45 and Audi RS3 Sedan, were taken to the track to settle their differences. The setting is the Rock Raceway circuit in South Africa, with its 300m (984ft) long straight being more than enough to prove which of the two is faster. Mercedes-AMG’s A45 hot hatch is slightly less powerful than its Audi rival. It has a 2.0-liter four-cylinder turbocharged engine that delivers 381PS (376hp) and 475Nm (350lb-ft) of torque, taking 4.2sec to sprint from rest to 100km/h (62mph), and toping out at 250km/h (155mph). On the other hand, the Audi RS3 Sedan makes use of a 2.5-liter five-cylinder rated at 400PS (394hp) and 480Nm (354lb-ft) of torque. Naught to 100km/h (62mph) takes 4.1sec, and top speed is electronically limited to 250km/h (155mph). There’s another aspect worth mentioning, and that’s the A45’s weight advantage, but is this enough to make up for the power deficit compared to the RS3? Just click on the video below and find out. The popularity of diesel cars is taking a hit even Europe, but it will be a long time until the good old oil burners are gone from the market. Believe it or not, throwing together a few old hatchbacks, powered by diesel engines, is a good way of killing time, and the Italian Drag Racing Championship is one of the places to do so. The latest edition brought together a bunch of modified Fiat Puntos and Alfa Romeo 147s, which engaged in a very fogy racing war. Various stages of the competition allowed participants to go head-to-head, solving old disputes the proper way, and they also had to race against the clock, often completing the 1/4-mile run in less than 15 seconds. It appears that the best time was scored by one of the Alfas shown in the video that follows, powered by a 1.9-liter JDT mill that was likely tuned. The old Italian hatchback ran the quarter-mile in 13.185 seconds, reaching a top speed of 174.33km/h (108.32mph), at the expense of killing fresh air. You can almost smell those fossil fuels being burned, can’t you? As if a straight line battle between a stock Challenger Hellcat and a Viper wouldn’t be delightful to watch in its own right, these two cars did a great job to amplify, and then meet, our expectations. In stock form, the Hellcat lays waste to its rivals using 707 HP and 650 lb-ft (881 Nm), while the Viper stands strong with 645 HP and 600 lb-ft (813 Nm) of torque. In order to make it even more of a beast, the owner of this Hellcat bumped the power output to roughly 825 horses, while the Viper was fitted with a twin turbo kit, resulting in approximately 950 WHP. With both cars wearing drag radials, they set out to post low 10-second 1/4 mile times, separated by just five hundredths of a second, although as they crossed the finish line, they were already traveling at different speeds. The Audi RS3 Sedan, no matter how competent it might be, couldn’t possibly stand a chance against a genuine supercar like the R8 V10 Spyder in a drag race, right? On paper, the R8 has a huge advantage, thanks to its 5.2-liter naturally aspirated V10 that delivers 540hp and 398lb-ft (540Nm) of torque to the ground. The official 0-60mph (96km/h) sprint time is just 3.5 seconds, which is very impressive for the open-top version of Audi’s supercar, and flat out it will eventually reach 198mph (319km/h). The brand’s challenger to the likes of the Mercedes-AMG CLA45 and BMW M2, the RS3 Sedan, uses a 2.5-liter TFSI engine that makes 394hp and 354lb-ft (480Nm) of torque. That’s enough to propel it from zero to 60mph (96km/h) in 3.9sec and up to a top speed of 174mph (280km/h) with the optional Dynamic Plus package. Of course, there’s also a huge price gap between the two, as the RS3 Sedan can be had from $54,900 in the US, the R8 Spyder comes at a cool $177,100. Specs and price lists aside, the question is: does the RS3 have a fighting chance against the R8? Scroll down and watch the video to find out. Remember when 10-second cars were exotics or heavily tuned Japanese models with all-wheel drive? Well, things have changed, because this insanely-modified Volkswagen Golf GTI of the Mk3 generation, literally blew its front door off while running the quarter-mile in a blistering 8.53sec. That’s faster than a Bugatti Veyron, but the time posted isn’t even close to what appears to be the 1/4 mile record for front-wheel drive cars, which was allegedly set by a Volkswagen Gol last year, in Brazil, after completing the run in 7.7 seconds, at 301km/h (187mph), or 19km/h (12mph) faster than this Golf GTI. Nevertheless, an insane amount of work went into this old hot hatch and the owner was kind enough to pop the hood for a few brief seconds and talk about some of the upgrades. These include a 2.5-liter five-cylinder engine, and plenty of effort put into the aerodynamic and weight distribution. New suspension was added too, along with better brakes, racing seats with six-point harness, and roll cage, in case things go bad. 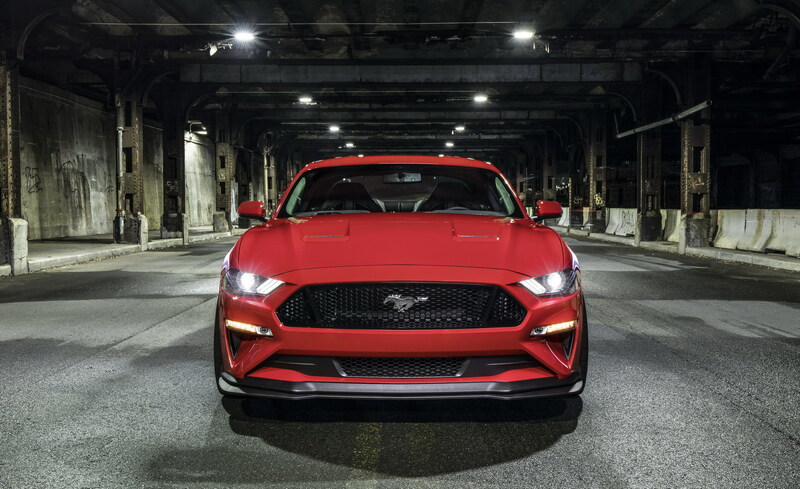 When Ford revealed the figures behind the 2018 Mustang GT, we were shocked to the say the least. 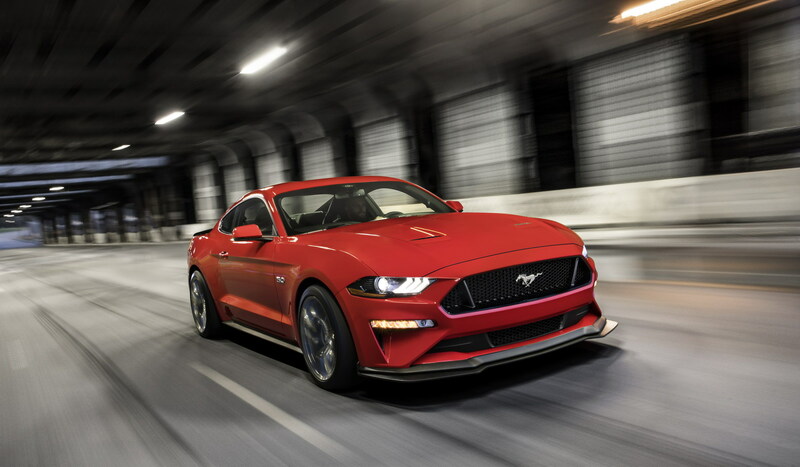 The automaker claimed the pony car, thanks to its 460-horsepower 5.0-liter V8 engine and new 10-speed automatic transmission, is capable of a sub-four-second zero to 60 mph time. 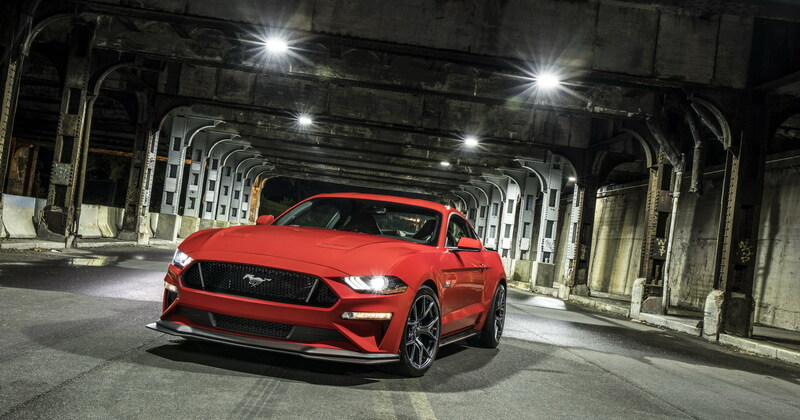 That, as Ford was quick to point out, made the new Mustang with the GT Performance Package quicker than a Porsche 911 Carrera. Ford, though, never provided an official quarter-mile time for the car. Hot Rod (via Road & Track) got their hands on a 2018 Mustang GT and decided to do some instrument testing at a drag strip in Florida. Without beating around the bush, the outlet managed to clock a time of 11.83 seconds at 119.51 mph. We don’t have to tell you that’s quick, but we will – that’s a quick time. It’s important to point out that Hot Rod also tested a fully-loaded model with every option box ticked, so it wasn’t some stripped out featherweight. And the outlet didn’t tune the Mustang GT or manipulate it in any way. All Hot Rod did was change the tire pressures – 26 psi for the rears and 45 psi for the fronts – and launched the car at 2,000 rpm using the car’s drag mode. To put that into perspective, Car and Driver clocked the 2012 Lexus LFA with a quarter mile time of 11.8 seconds at 124 mph. 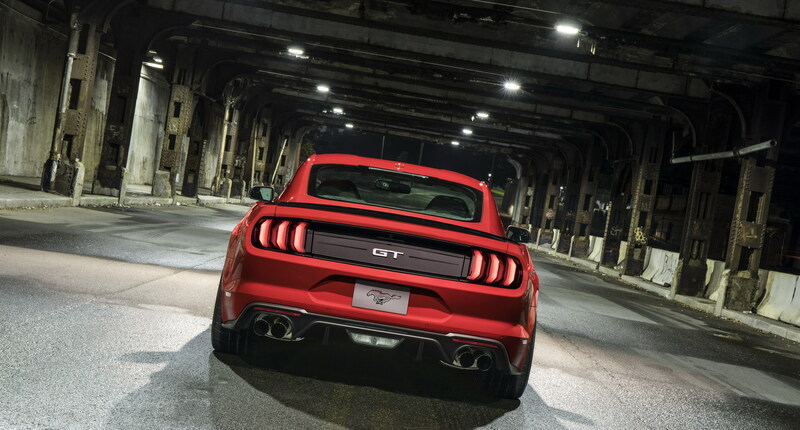 So, the new Mustang with the GT Performance Package is as quick as a bona fide supercar, which is just mind boggling. 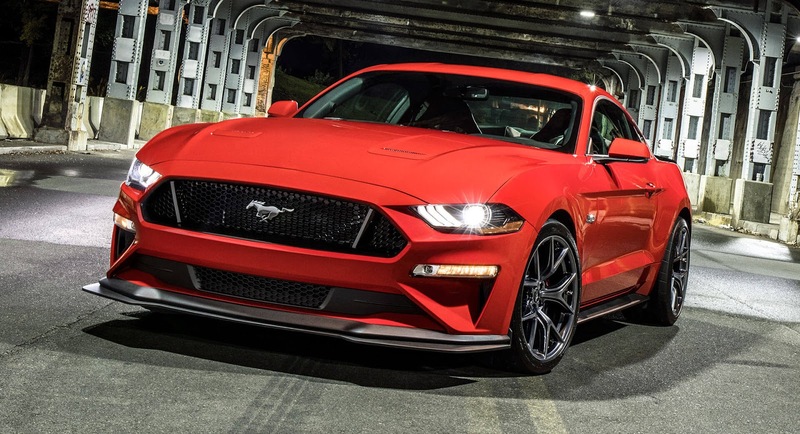 If the Mustang GT is this quick, we can’t wait to see what the upcoming GT500 that’s rumored to have a supercharged 5.2-liter V8 engine is capable of on a drag strip. Ever since it was introduced in Detroit nearly three years ago, the Honda/Acura NSX has impressed motoring enthusiasts in various tests, but how does it fare against a CBR1000 RR sports bike? Without spoiling the following video, we’ll answer that question in a couple of words: quite well, but before seeing the result, let’s go through some of the numbers. The Honda NSX uses a 3.5-liter twin-turbo V6 engine that’s backed up by three electric motors – two at the front, and one at the rear, producing a combined 581 horsepower that’s transferred to the ground via a 9-speed dual-clutch transmission. Its challenger, the Honda CBR1000 RR, has a 1.0-liter inline four-cylinder 16V DOHC engine that makes 190 horsepower, and has the weight advantage as well: 200kg (441lbs) compared to the NSX’s 1,780kg (3,924lbs). Now, the as far the video goes, it actually shows two quarter-mile drag races, from a standing start, where the two vehicles came very close to each other, and a rolling race, from 80km/h (50mph), which had a clear winner. Ladies and gentlemen, this would be a good time to place your bets. Last August, Doug DeMuro purchased a 2012 Mercedes-Benz E63 AMG for $44,000. The YouTuber claimed that the 520-horsepower (525 PS) wagon would become his daily driver and promised to do all sorts of fun things with the machine. 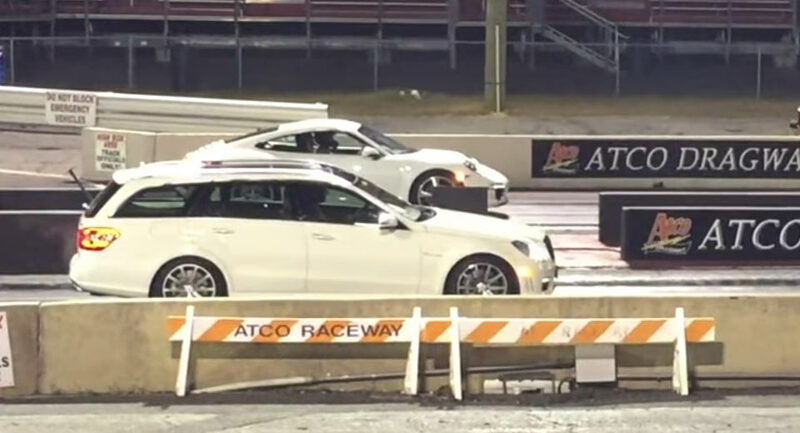 Well, he’s taken a break from reviewing cars, like the Tesla Model 3, which he called the coolest vehicle of 2017, to take his E63 AMG wagon to a drag strip. DeMuro’s wagon was joined by an Audi R8 and a Porsche 911 at Atco Dragway in Atco, N.J. to see if the E63 AMG could keep up with them. While it certainly isn’t a sports car like the other two, the E63 AMG can get to 62 mph in 4.4 seconds, so it had more than a fighting chance against them. On the other hand, the wagon may have more power than the R8 and the 911, but it’s heavier and compared to the R8’s all-wheel-drive layout and the 911’s rear-engine setup, is down on traction, as well. So, it wasn’t really surprising when (spoiler alert) the Merc lost a quarter-mile drag race against the R8. The times were pretty close though, with the E63 AMG wagon setting a time of 13.293 at 109.12 mph. The R8 was a little quicker, with 13.120 110.23 mph respectively. DeMuro claimed that the Mercedes was in Eco Mode and in its comfort settings. The second time around, he chose the proper go-fast settings and things turned out better. We won’t get into too much details, as that’s what the video’s for, so if you want to find out whether a super-estate can outrun bona-fide sports cars in a drag race, just click the play button. but then again, the Dodge Challenger SRT Demon isn’t your average machine. First of all, it was developed on and for the drag strip, building upon the already mad Challenger SRT Hellcat, to which it adds a suite of modifications that make it the world’s fastest production car from 0 to 60mph (96km/h), according to Dodge. However, in order to enjoy the full force of the 6.2-liter supercharged V8 engine, you need to fill the tank with race fuel and get the powertrain control module from the ‘Demon Crate‘, as only then it will produce the full 840 horsepower. Secondly, it needs to run on drag radials to make that front end go in the direction it’s intended to, but in the right conditions and with someone behind the wheel who knows what they’re doing, it reaches the 60mph (96km/h) mark in just 2.3sec. Now, let’s see what the ultimate muscle car looks like on the drag strip pointed against a Camaro SS, a Jeep Grand Cherokee Trackhawk and a Dodge Challenger SRT Hellcat. Before checking out the video posted below, we should mention that this Demon was allegedly brand new during the runs, with only a few miles on the clock, and its tank was filled with 91-octane fuel, which limits its power to, well, “just” 808hp. It did run on drag radials, though, but was this enough to beat its rivals? The modern Dodge Challenger makes for a very interesting General Lee, even if the original was actually a Charger. It becomes even more interesting as an SRT Hellcat like this one, which was filmed recently during a drag racing event. With his ride inspired by the famous car from ‘The Dukes of Hazzard‘, the owner of this Challenger SRT Hellcat put on quite a show thanks to the sound of its supercharged V8 and the iconic horn. The muscle car was also pitted against some powerful machines, from an Audi TT-RS to a Lamborghini Aventador. However, it appears that, for whatever reason, the driver had a hard time unleashing the 707hp and 650lb-ft (881Nm) of torque straight from the start, but that didn’t make the runs any less exciting. In the right hands, and with the correct tires, the Challenger SRT Hellcat needs 3.6 seconds for the 0-60mph (0-96km/h) run, and it can complete the quarter mile in just under 11 seconds. For those who might want something more, there’s the even madder Demon, an 840hp version that can go from naught to 60mph (96km/h) in just 2.3sec and does the quarter-mile in 9.65sec. While one would expect an old Audi to go by unnoticed, this heavily-modded Audi S2 Coupe will certainly make heads turn. For starters, you can tell it means business from the lowered ride height, the body kit, dual-tone exterior and, of course, the sound coming from its tuned R32 engine. In a straight line, it’s capable of hitting 328 km/h (204 mph) from a standstill in just 14.8 seconds, and it will go from 200 km/h (124 mph) to 250 km/h (155 mph) in an incredible 1.6 seconds. The problem is that it might struggle for grip before it gets up to speed. During this recent 1/2 mile (0.8 km) run, it managed to cover the distance in 15.1 seconds at 317 km/h (197 mph). However, it didn’t exactly get off to a good start. Even so, it was quicker than this twin turbo Lamborghini Aventador packing 1,300 HP. For the sake of comparison, a stock supercar like a Ferrari 488 GTB, needs almost 18 seconds in order to do the half mile run.